StoryTravelers is a collective of visual storytelling artists with a shared passion for travel. We are highly talented filmmakers, photographers and instagrammers who work in various formations on visual storytelling projects/campaigns. Our aim is to create visual content that is highly-shareable, cutting-edge, authentic and unique; content that captures many moments of inspiration and make people engage emotionally with a destination. The German Reiseblogger Kollektiv (travel bloggers collective) was founded in summer 2012 and consists of seven professional multimedia developers. All bloggers of the collective have either a background in journalism, photography, TV or documentary movie production, travel and tourism PR or design. All bloggers serve a different niche. The collective was founded to set new professional standards in the German Travel Blogosphere and soon developed an Ethic Codex with other bloggers. 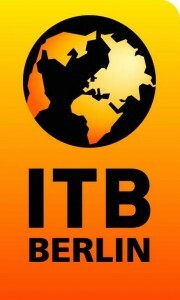 The collective quickly teamed up with large players in the industry, such as the most important travel trade show in Germany, the ITB Berlin. The Reiseblogger Kollektiv is also a founding partner of the Social Travel Summit; together with iambassador and Traveldudes. By now, the Reiseblogger Kollektiv offers Corporate Content creation, workshops, consulting and Social Media Campaigns for the travel industry. Previous clients are (experts): Lufthansa, The German National Tourism Board, Visit Britain, Mövenpick Hotels, Meininger Hotels, Rhône-Alpes Tourism and many more. The Collectif des Blogueurs Voyage is the French travel bloggers collective. 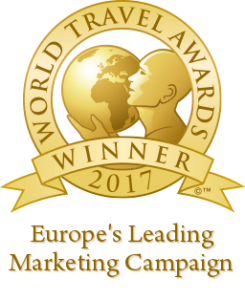 Created in 2013, the collective creates tailor-made digital campaigns for the tourism industry aiming to reach the French market. They work together with their clients to find the best bloggers for the right target audience. Their approach is based on creativity, quality and engagement. Since their creation, they’ve worked with Catalunya Tourism, the German National Tourist Board, Visit Britain, Berry Province and Loire (two local areas in France) and other destinations and brands. As digital content creators, they also produce videos and work with the best travel videographers in France. The TravelBloggers.NL is a community of travel bloggers, travel writers and online travel publishers in the Netherlands. The community’s main objectives are to encourage knowledge-sharing among its members and form a bridge between the community and the tourism industry. In this sense, TravelBloggers.NL has worked with various brands, tourism boards, blogger conferences and the Vakantiebeurs (Netherlands’ largest tourism fair) to organise digital marketing campaigns aimed at the Dutch market and nurture professionalisation of its members. NordicTB Collective is a select group of digital storytellers and travel influencers living in Norway, Sweden, Finland, Denmark and Iceland. We cooperate and collaborate with clients and fellow collectives to create innovative marketing and re-branding campaigns for destinations, brands and companies. Staged annually in London, World Travel Market – the leading global event for the travel industry – is a vibrant must attend business-to-business event presenting a diverse range of destinations and industry sectors to UK and International travel professionals. It provides a unique opportunity for the whole global travel trade to meet, network, negotiate and conduct business. More than 50,000 senior travel industry professionals, government ministers and international press, visit ExCeL – London every November to network, negotiate and discover the latest industry opinion and trends at WTM. The event, now in its 36th year, generates more than £2.5 billion of travel industry contracts. WTM Africa is a vibrant, culturally diverse, must attend business-to-business travel and tourism event, presenting a diverse range of destinations and industry sectors to South African, African and International travel professionals. WTM Africa provides a platform in which to increase your business opportunities, network with like-minded industry peers, meet with relevant suppliers and partners and form mutually beneficial business relationships, over three days in Cape Town. BIT Milano, the International Travel Exhibition, is a show with worldwide appeal that brings together those who work in the tourism industry from all over the world as well as a large number of visitors, travellers, and press. Along with the four main sectors – Leisure, Luxury, MICE and Destination Sport – there are as well three visitor itineraries dedicated to themed areas that are seeing great growth: A Bit of Taste (food and wine), Be Tech (digital) and I love wedding (dedicated to honeymoons). 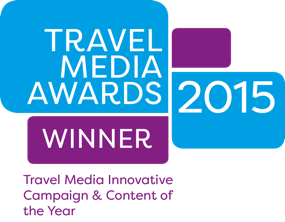 Tourismuszukunft is one of the leading digital consultant networks in Germany. They support companies, mainly tourism but also other industries, to realise their digital projects, studies and campaigns. Furthermore they train and create digital mindsets and provide guidance and strategy for change.